A healthy body and mind are essential to get through our complicated and sometimes stressful lives. No doubt the ketogenic diet requires you maintain the right amount of macros and micronutrients you’re consuming. High-quality supplements can help make your life and overall success much easier while on the ketogenic diet. Let's highlight a few of our favorite and the most popular keto supplements. 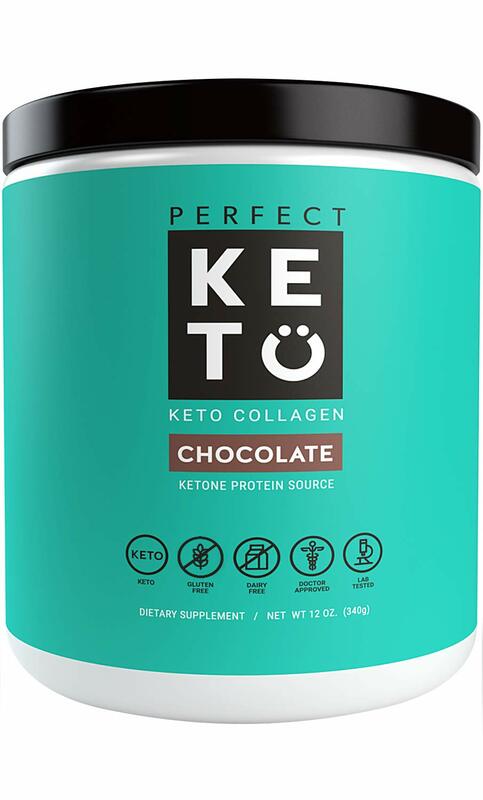 What we love about Perfect Keto Chocolate Protein Powder is that it has grass fed collagen peptides which strengthen bones, joints, and ligaments, improves gut lining and connective tissues, as well as improves your skin health. There are no carbs, no sugar, no caffeine and includes MCT oil powder that you can easily mix with any drinks especially coffee or low carb dessert recipes that call for protein powder. It is also paleo & gluten free which makes it an excellent option for protein powders. The Perfect Keto Base Exogenous Ketone Supplement is the go-to high-quality beta-hydroxy-butyrate (BHB) exogenous keto supplement in our opinion and performs much better than several competitors products. We know it can be hard to maintain a strict ketogenic diet and some people struggle with getting into ketosis or staying there, and Keto Base can help kickstart your ketosis. I have to be honest exogenous ketones taste terrible! 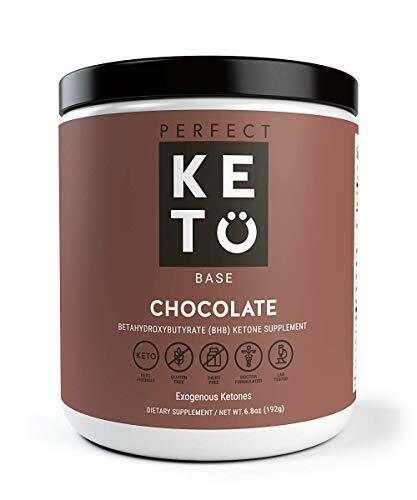 But Perfect is the best-tasting exogenous ketone supplement out there and mixes well with water, coconut milk, almond milk, coffee, shakes without a blender. If you want to try Exogenous ketones, this is our #1 choice. The Emulsified MCT OIL from Sports Research is our #1 choice for eMCTs supporting a natural energy boost and healthy metabolism. It is sustainably sourced from only 100% coconuts (not palm oil) and mixes easily into any liquid hot or cold. They offer it in Creamy Coconut, Creamy Vanilla and Unflavored, but Creamy Coconut is my absolute favorite especially when mixing with iced coffee. Most importantly MCT (Medium Chain Triglycerides) are a particular type of beneficial fat that requires minimal action from the liver to convert directly into fuel in the form of ketones. 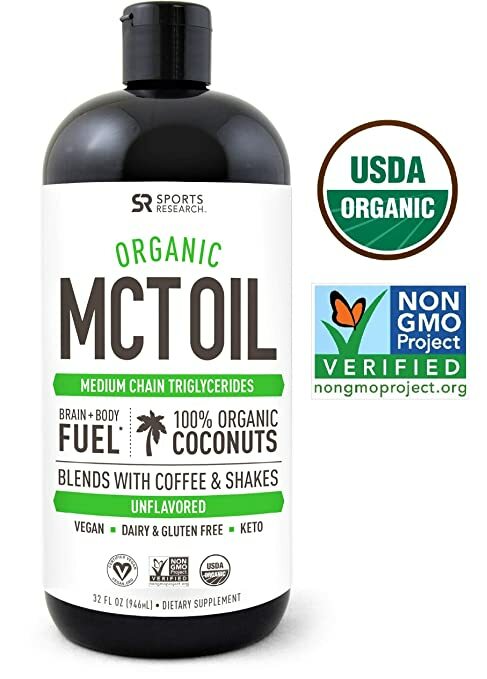 If you want to save a few bucks and don’t want to get the emulsified MCT Oil, you can get the USDA Organic MCT Oil made from only Coconut (32oz) ~ Non-Gmo Project Veified, Vegan, Keto and Paleo Diet Certified ~ Great for Coffee,Tea, Smoothies & Salad Dressings ~ Unflavored derived from 100% Coconut Oil and offers the same benefits as the emulsified version but does require more mixing and is unflavored. The best part is you get a much bigger bottle. There is no better source of sodium and rich minerals than Pink Himalayan salt. 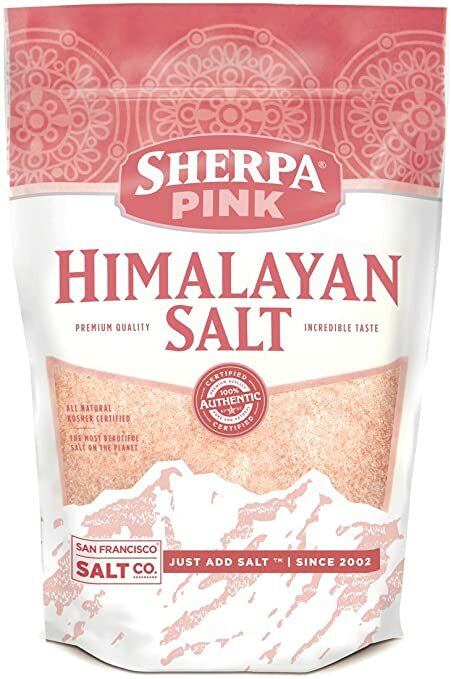 In fact, I have become a bit of a salt snob after using pink Himalayan the past few years. Not only does it taste amazing compared to regular table salt, but there also is no added iodine, and it has 84 naturally occurring minerals and trace elements, and it is pure, not processed like ordinary table salt. You can get this at any Costco store, but if you shop at Amazon, this is an excellent option for you. 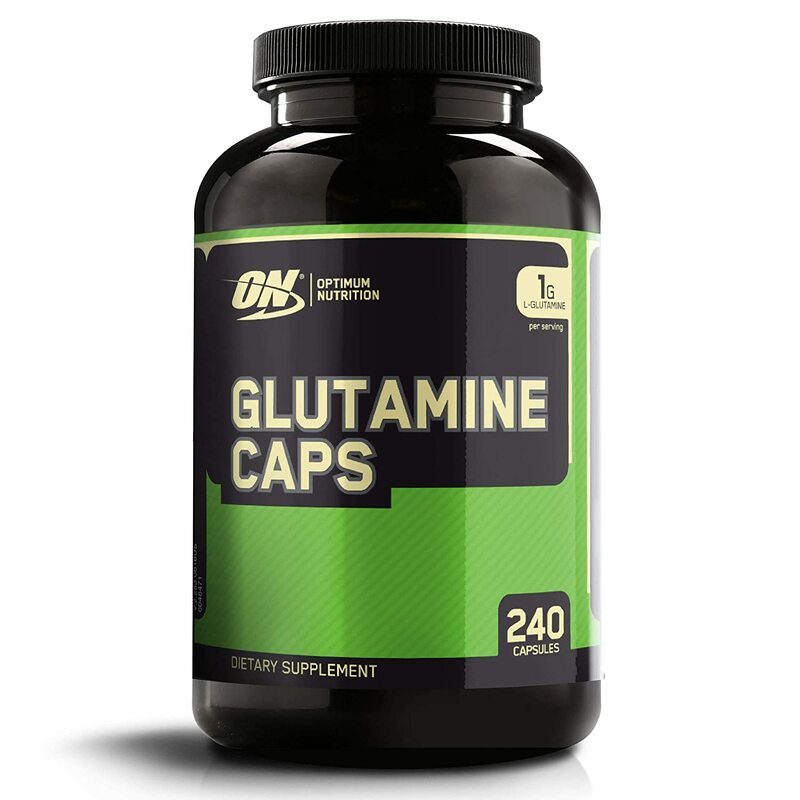 Optimum Nutrition L-Glutamine Muscle Recovery Capsules, 1000mg, 120 Count L-glutamine is the most abundant amino acid in the body and acts as an antioxidant. If you exercise a lot and are on keto this supplement will help prevents free radical damage from intense physical activity, reduces recovery time between workouts and boosts immunity. We like these because they are high-quality and are 1000mg capsules. 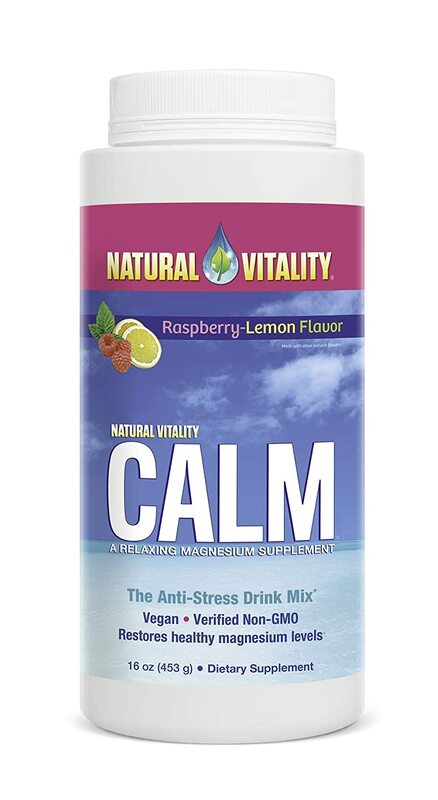 We love the Natural Vitality Natural Calm Magnesium Supplement because it is a magnesium and calcium supplement all in one that both restores a healthy magnesium level and balances your calcium intake which helps reduce stress and fast relief to many symptoms of magnesium depletion. Exogenous ketones are those produced outside the body. In recent years, the use of exogenous ketones has become a popular way to speed up ketosis. However, there’s a lot of misinformation about them. Exogenous ketones work the same way as endogenous ketones (those produced inside the body). In fact, the body has no way of telling whether a ketone came from the body or from a lab. Simply put, ketones- either endogenous (produced in the body by the liver) or exogenous (produced outside the body) – are just another source of energy that our body relies on. Exogenous ketones will increase the number of ketones in the bloodstream. As soon as they enter the bloodstream, they increase the amount of BHB in the blood. They will also decrease the blood glucose levels in the blood. This may happen due to an increase in insulin sensitivity. This makes them valuable in the treatment of type 2 diabetes. Exogenous ketones will also increase oxygen utilization to the brain. This will dramatically improve the body’s ability to function optimally. Research has found that as much as 60 percent of the brain’s energy needs can be met by ketones. Exogenous ketones decrease the number of free fatty acids (FFA). They stop adipose tissue lipolysis. Ketone also produce more ATP energy than glucose does. And the energy stored within each ATP is also more efficient. After an overnight fast, those who are eating a normal diet will have a small amount of glucose in their body. There will be ketones in the blood and they are potentially available to be used to fuel the body. Appetite suppression – there is a lot of research and anecdotal evidence that exogenous ketones help to curb the appetite. In one study, researchers measured the appetite in five females and ten males who consumed either a dextrose drink or a ketone ester. The perception of hunger dropped in both the dextrose and the ketone groups. But the effects of the ketone ester were found to be 50 percent higher than dextrose for up to four hours. The insulin spike in those whom took the ketone ester were three times lesser than those in the dextrose group. In addition, then ketone group had a lowered level of ghrelin. This is the hormone that controls our hunger levels. The researchers concluded that exogenous ketones can reduce the appetite and slow down the onset of hunger. Exogenous ketones have a high tolerability. Other weight loss supplements like MCT oil are well known for causing gastrointestinal problems. Exogenous ketones are far more tolerable than any other supps out there. Performance Benefits – Exogenous ketones will allow you to train harder and recover faster. Exogenous ketones can help to get you into ketosis for a couple of hours. Because they don’t rely on depleted glycogens, they are able to more efficiently improve your athletic performance. Exogenous ketones have a carb sparing effect which suppresses the breakdown of muscle glycogen. As a result, there is a reduced level of the breakdown of lactate levels. Consuming exogenous ketone esters increase the levels of free carnitine during exercise. The increase in the levels of free carnitine, in turn, improves physical endurance. When you use exogenous ketones, you will be using fewer Branch Chain Amino Acids (BCAA’s) as fuel. Supplementing with exogenous ketones also increase the levels of muscle BCAA’s by 50 percent during exercise. So, Should You Use Exogenous Ketones? Maybe. The answer depends on your goals. If you’re already doings strict keto and are managing to stick with it, then you probably don’t need exogenous ketones. But if you need to give yourself a mental; boost then you should certainly give exogenous ketones a try. 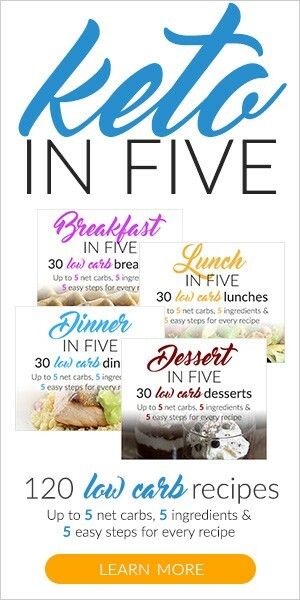 You can also use them if you find yourself at a plateau where your weight loss has stalled. There are no health problems associated with exogenous ketones, so it’s worth trying them out to see if they are beneficial for you. 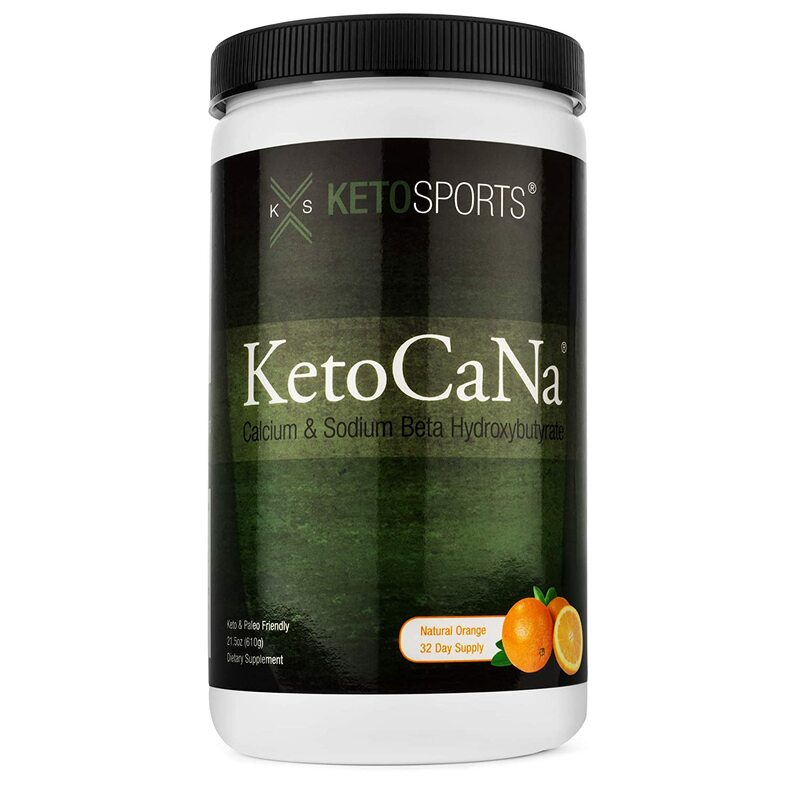 Our favorite Exogenous Ketone supplement is KetoSports KetoCaNa. Beta-hydroxybutyrate (BHB), is one of three ketone bodies that the body manufactures when your body is being fueled by fat rather than carbohydrates. It is also called 3-hydroxybutyric acid or 3-hydroxybutanoic acid. Of the three, BHB is the most numerous, producing 78 percent of the total ketones in your blood. The other two are acetoacetate, which makes up 20 percent of your ketones and acetone which comprises 2 percent. The other two types of ketone bodies come from acetoacetate (AcAc), but BHB is the main ketone that is used for energy production. The human body actually makes two types of BHB. These are . . .
D-BHB: This is the type of BHB that your body uses for energy and it is produced in high amounts. L-BHB: This is the type that can’t be used for energy and is not used as efficiently as D-BHB. However, this type is more efficient in the synthesis of fatty acids. When you are in ketosis, you will be using both BHB and AcAc for energy rather than glucose from carbs. Boosts cognitive function – ketones protect synapses, and neurons and protect against neurodegeneration. Boosts insulin sensitivity – it does this by keeping insulin and blood sugar levels low. Optimizes heart function – it improves blood flow, and protects against oxidative stress. Kills inflammation – BHB blocks the activity of the NLRP3 inflammation to dramatically reduce inflammation. Fights oxidative stress – this is especially so in the brain. Increases lifespan – BHB releases life enhancing anti-aging genes. Boosts fat loss and workout performance – fat burning, recovery and energy are all increased by BHB. Prevents bone deterioration – BHB prevents the development of cells that led to bone deterioration. Ketones are able to cross the blood-brain barrier easily and provide your brain with over 70% of its energetic needs. In one study, an increase of BHB in the brain 90 minutes after ingesting MCT Oil improved paragraph recall in adults with impaired memory. Preliminary studies also show ketones can improve working memory in both young and old subjects. Another study found BHB has antidepressant and antianxiety-like effects because it prevents neuroinflammation in the hippocampus. Multiple studies suggest BHB may be beneficial in preventing neurodegenerative diseases, including Huntington’s disease, Parkinson’s disease, and Alzheimer’s disease by improving mitochondrial respiration, preventing the accumulation of a toxic molecule called amyloid-β, and preventing brain atrophy. Keto Trim is a dietary supplement that is designed to help you get into ketosis faster by boosting your metabolism and reduce your hunger pangs. Researchers have discovered certain compounds that mimic the effects of ketosis, tricking the body into burning fat instead of carbs for fuel. One of these compounds is BHB. The manufacturers of Keto Trim claim to put the power of BHB to use in this supplement to achieve keto-like results. 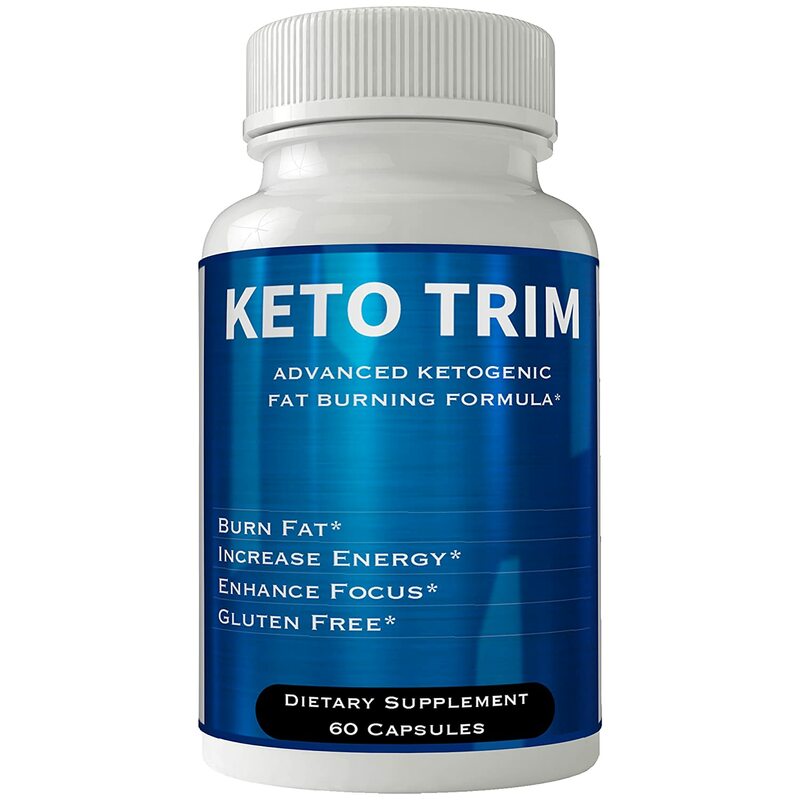 Keto Trim combines raspberry ketones, garcinia cambogia, green tea, and green coffee bean extract in order to bring about a ketosis like effect. It claims that these compounds will work synergistically to boost the metabolism to release stored energy from fat cells in a similar way to how ketosis works. The manufacturers, who have appeared on Shark Tank, claim that Keto trim is an ideal solution for the first days and weeks while your body is still adapting to ketosis. 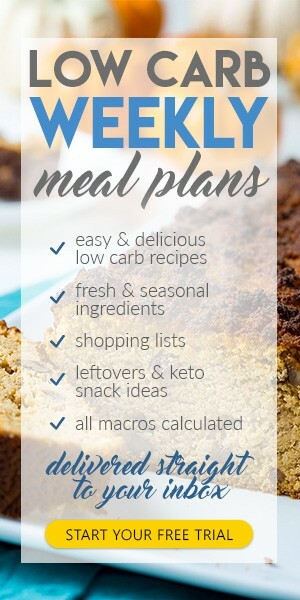 The added benefit is that you will have reduced hunger levels to help overcome the inevitable carb cravings. There are 7 key benefit claims . . . The only way to get into permanent ketosis is to rid your body of carbohydrates. This takes time. So, that claim that you can get into ketosis simply by taking a supplement has no foundation. While the addition of BHB can mimic keto like effects for a short period of time, it will not put you into a constant state of ketosis. The only way to get bigger, stronger and leaner muscles is to hit the gym. Of course, when you strip off the body fat, your muscles will appear leaner, but this supplement has little if anything to do with building your muscles. The claim that taking Keto Trim will make you mentally sharpers seems to be based on the assumption that it will put you into ketosis. When your body is being fueled by ketones your brain will operating more efficiently. However, as we’ve already stated, Keto trim will not put you into ketosis. As a result, the mental sharpness claims are somewhat dubious. Most of the other claims are hard to quantify, such as digesting food more efficiently and having more self-esteem. There is, however, some evidence that taking a supplement about an hour before exercising can reduce your post workout recovery time. There has been a lot of hype surrounding Keto Trim. While it is true the BHB can help you to burn more fat and increase your metabolism, it will not put you into permanent ketosis. We have also noticed that the makers of this product use a proprietary blend when listing the ingredients. This means that they do not have to state the exact dosages of each of the individual ingredient. As a result, we don’t know how much BHB (or any of the other products) is included. This does not build confidence on the part of the customer! Our advice is to stay away from Keto Trim. Keto Xtreme is another ll natural supplement that claims to be able to speed up your ability to get into a state of ketosis. As with keto trim the main ingredient of Extreme is BHB, or Beta-Hydroxybutyrate. It is claimed that BHB ‘boosts up’ the ketones in your blood stream allowing you to burn fat faster and more efficiently. It is said to also dramatically boost your energy. The benefits claimed by the Extreme people are very similar to the of Keto Trim. They are all the benefits that come from being in a state of ketosis. But, as we have already discovered, BHB, by itself will not get you into ketosis. So, all of the supposed benefits of taking the product, such as increased mental alertness, do not apply. 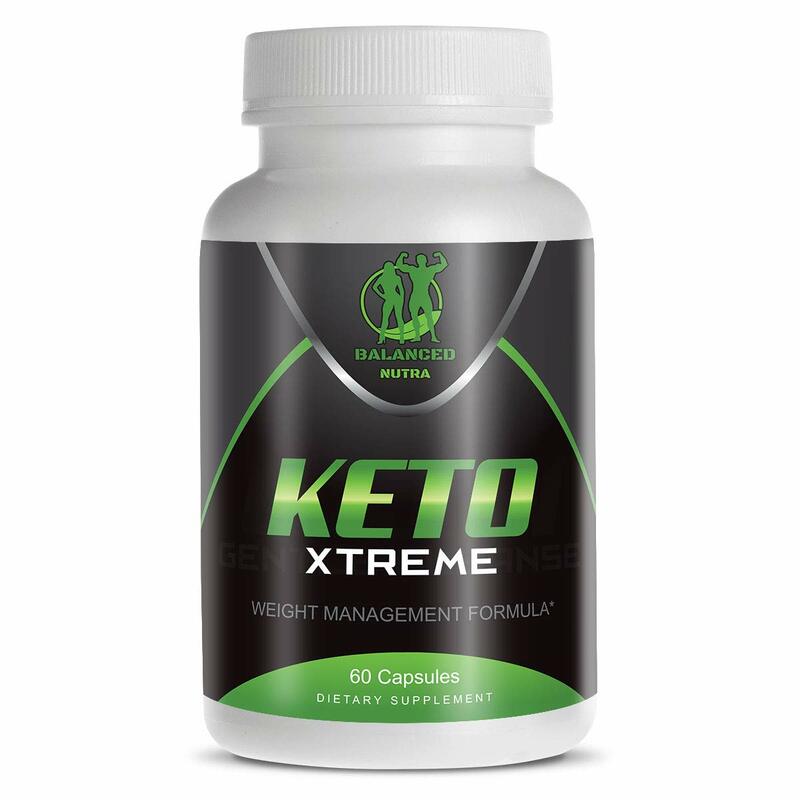 Another problem with Keto Xtreme is that this is another proprietary product. That means that we have no way of knowing what the ingredient dosages are in this product. And that means that it could be severely underdosed in its key ingredients like BHB. We do not recommend Keto Xtreme. KetoCaNa is is one of the original exogenous forms of keto supplements on the market. There are no additional ingredients, just pure BHB salts. This is a high quality, pure form of exogenous ketones. One scoop provides 19 grams, each containing 55 calories and zero carbohydrates. Each scoop has 1.15g calcium and 11.7g of Beta Hydroxybutyrate.